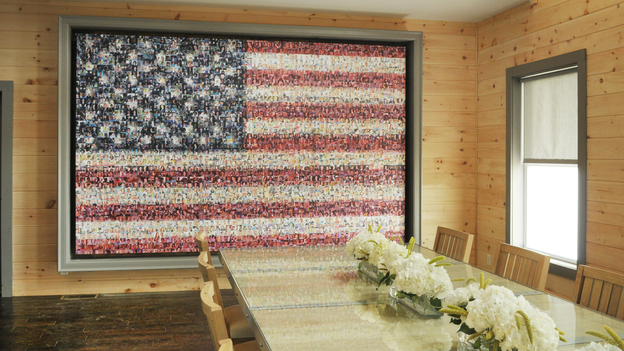 When Ty and his team at Extreme Makeover Home Edition were looking for that wow piece to bring the whole project together, they quickly realized the photo mosaic concept would be a perfect fit. Since time at EMHE is always critical and need for a piece that exceeded expectations was paramount, the call was put into Picture Mosaics. As soon as we heard about the project, we were on board. 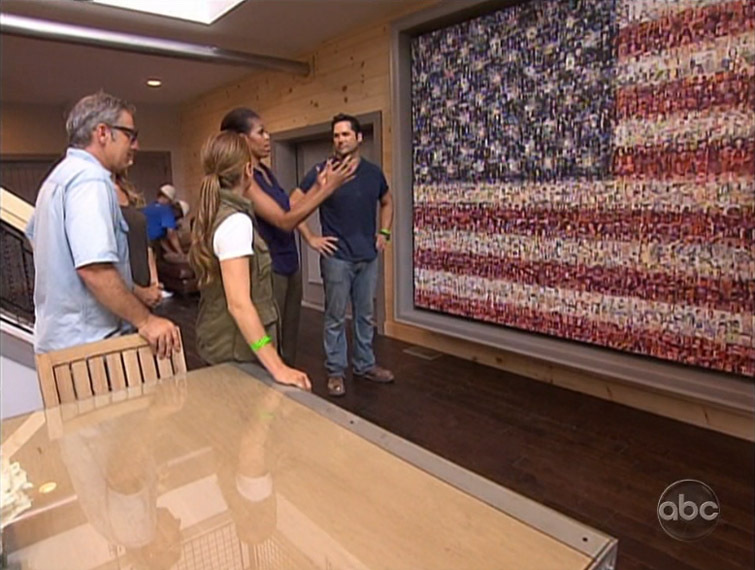 The concept was to create the American Flag using photos of active and veteran women of the armed forces. Once Ty’s team delivered the photos, we were set to begin work one of our more artistic and impactful mosaic murals to date. The lead members of our design team worked around the clock for a total of two days, making sure every photo was optimally placed, colors were true and vivid as possible, and the mosaic was visually impactful as it was meaningful. Please take a moment to explore the photos and video clips below. 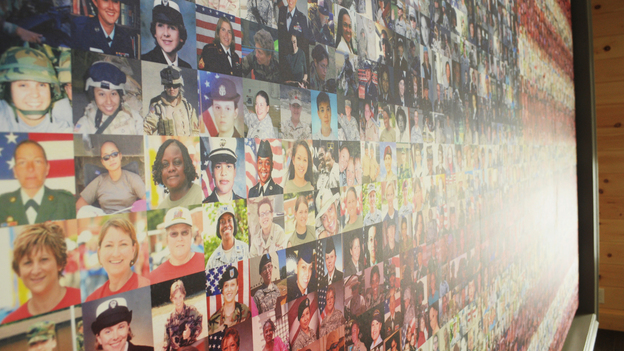 This entry was posted in Art, Events, Mosaics, Murals, Photo Mosaics, Photography and tagged Extreme Makeover Home Edition, flags, mosaics, murals, photo mosaics, picture mosaics, USA on September 30, 2011 by Robert DeCarolis.